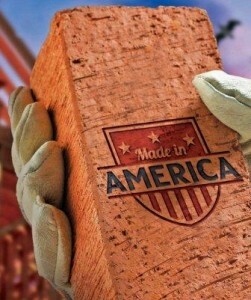 The August issue of Green Builder magazine put the spotlight on a select set of green building products that are “Made in America”. The Xero Flor Green Roof System from Xero Flor America is the only green roof product featured. How’d they get included? Well… the Xero Flor system is100 percent American-made for all installations in the U.S. And… as their corporate communications consultant, I alerted them to this PR opportunity, analyzed the requirements, and wrote their submission to the editor. I also prepared the entry for Xero Flor’s selection as a “Money-Saving Product” by BUILDINGS magazine. As a Strategic Storyteller, I keep tabs on industry awards and trade magazine showcase features for my clients. The special recognition I help them achieve boosts their brands and generates sales leads. Want to see other examples? Contact me.